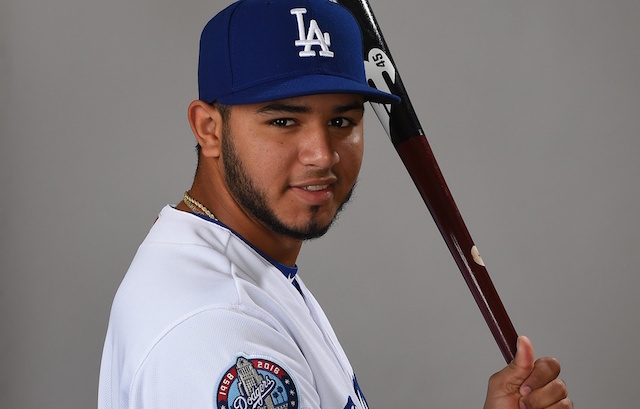 While there’s plenty of attention on personnel moves the Los Angeles Dodgers will make with regards to their roster, the front office could see some shakeup as well. 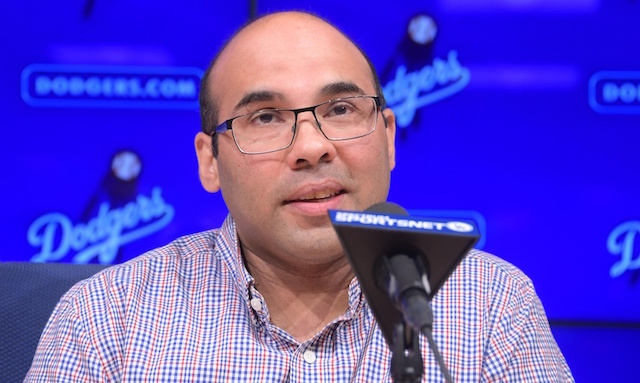 General manager Farhan Zaidi reportedly is under consideration by the San Francisco Giants for a role as president of baseball operations. The Dodgers are coming off another heartbreaking end to the season as they lost to the Boston Red Sox in the World Series. Zaidi and Dodgers president of baseball operations Andrew Friedman addressed the media for the first time after the loss on Thursday, discussing a variety of topics. Among them was the report of Zaidi being a point of interest for the Giants. “From our standpoint on employee permissions, we get a lot of requests and we review it on a case-by-case basis,” Friedman said. Zaidi did say that his focus is currently on the Dodgers though, which leads one to believe that he may not seriously be considering leaving. “You haven’t fired me, have you?” Zaidi quipped. Zaidi was later questioned on the possibility of leaving, this time posed with different phrasing, but he did not budge. “I’m not going to comment on that,” Zaidi reiterated. This offseason is a big one for the Dodgers front office as the club has seven free agents, plus the possibility of Clayton Kershaw opting out on the horizon. Additionally, they are currently in discussions to give manager Dave Roberts a long-term contract extension. So losing someone as important as Zaidi right now would not be ideal, and Friedman will likely do everything in his power to keep him in the Dodgers organization and away from the Giants.